Katie has been practicing yoga since the age of 14 and trained as a yoga teacher to share with others the peace yoga brings to her mind and body. She trained as a vinyasa yoga teacher and her vinyasa classes are focused strongly on breath, alignment and listening to your body in all its beautiful uniqueness as you move. She is passionate about human anatomy and helping her students to tailor their practice to best suit them. Her classes are strongly influenced by her mindfulness meditation practice and often shares mindfulness teachings to help us navigate the many weather conditions of being human with lightness, humour and a story or two. 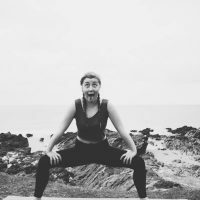 Katie is also trained as a restorative yoga teacher and loves guiding people through this practice of luxurious relaxation and kindness with the help of bolsters, blocks and blankets to support the body to aid dropping into a state of deep peace and healing.